Did You Recently Adopt a Puppy? If you've recently adopted a puppy, your next step is to make sure that he or she remains healthy. Providing care during their first few months gives your pup the protection it need during its developing stages. 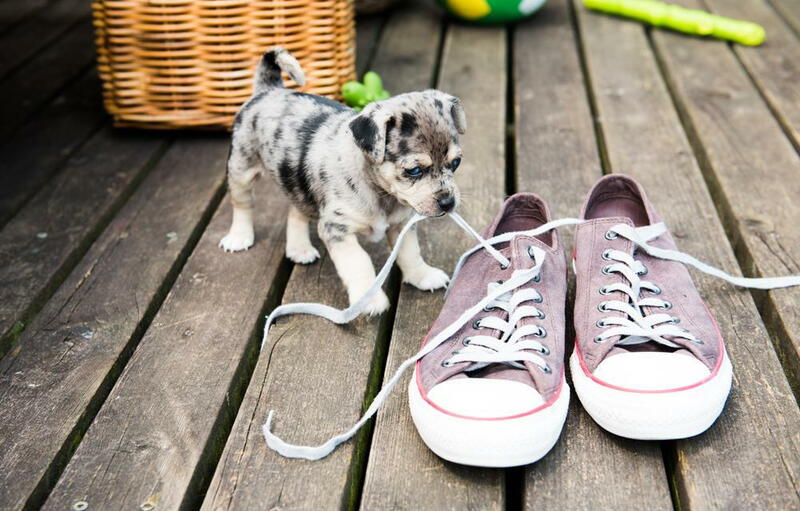 Here are some things you'll need to do to give your puppy a happy, healthy, life. Many of the deadliest canine diseases are at their worst during puppyhood. That's because puppies' small bodies can't handle symptoms like extreme diarrhea, blood loss, and similar problems. Make sure to get your pup vaccines against parvovirus, which is known for causing these types of symptoms, as well as diseases like rabies, kennel cough, and others. Your vet will tell you the exact shots that are needed. While you're at the veterinarian's office for your puppy's shots and first checkup, be sure to find out the best diet for his breed. There are no general feeding guidelines since there is so much variance between breeds. A toy poodle may need less than a cup of food, for example, while a growing St. Bernard will need far more. General care ranges from potty training to grooming. Be sure to research answers to all questions that arise. We can provide information about all general care issues. As soon as you get your puppy, you should take him or her to us here at Greenfield Veterinary Clinic in Greenfield, WI. We'll check for worms, make sure there are no other problems, and educate you about general puppy care. You should take your new puppy in for frequent checkups and vaccine boosters until he or she is an adult, after which the checkups can switch to a yearly schedule. This is one of the best ways to ensure that any health problems are spotted and treated before they become serious. It is also a great way to maintain overall wellness. Protecting your pet through all stages of life begins with at the veterinarian. Let our award-winning veterinarian in Greenfield care for your pup. Schedule a visit and call us today at 414-282-5230.